...Izza's Blog....: Lamanya tak update...!!!! 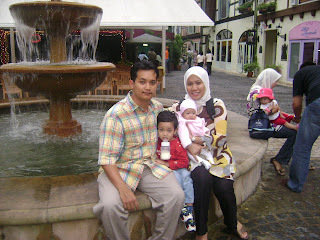 ni gamba terbaru my small family @ bukit tinggi pada early may 2008.. baru lagik nih. 3 creatures that make my life complete... love all of you... muahhhh!!!!!!!! yuhuu..not sure whether u still do this blogging thing or not..anyway, just wanna drop by to say "hi my friend!"